Galuh Dian Prama Dewi is an observer of issues on international relations and international political economy. 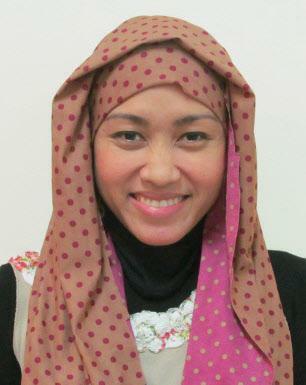 Currently she is a subject content supervisor for trade diplomacy courses at Binus University. She received her bachelor’s degree from Universitas Muhammadiyah Yogyakarta in 2006 and her master’s degree from Universitas Gadjah Mada in 2008. She also possesses skills in education program and social community, with negotiation and diplomacy ability, critical thinking, managerial, cross-cultural communication. Prior to joining Binus, Galuh has co-founded an agricultural company in Yogyakarta named Inter-Pramaco, become coordinator of community engagement at PT. Edukasi Pembangunan Masyarakat – Community Development Assistance (EPM-CDA) funded by AusAIDin 2008-2009, and Head of Department at Universitas Respati in 2011-2014. She also co-founded Center for Archipelago Youth Studies in 2008, joined the Yogyakarta Chief Youth (youth economic empowerment) in 2010-2011, became coordinator of Indonesia for European Studies (Yogyakarta and Central Java Area) in 2012-2014, founded Peace Community (focusing on Eastern Indonesia) from 2012 till present, and joined the Chief Women Farmer Groups (women economic empowerment) from 2014 till present.